I’m in the midst of a Haruki Murakami binge. I finished Norwegian Wood a few days ago, and had to go right back to the beginning and start reading it again. I’m tearing through After Dark, and have Sputnik Sweetheart at the top of the ‘To Be Read’ stack. My Murakmi love began around 2006 when I plucked a copy of The Wind-Up Bird Chronicle from the shelves of the Piccadilly Waterstones in London. It’s very rare that I buy a book ‘cold’, most of my reading follows the trail of authors related to or influenced by other authors I’m interested in, and these days my schedule of reviewing. So to pick up a book by an author I had not even heard of, having no idea what to expect, was unusual. I was likely influenced by my love of Banana Yoshimoto (whose short story collection Lizard I read half a dozen times in my late teens). I didn’t entirely understand Wind-Up Bird at first. I knew what happened. I knew I was powerfully affected by it. But I didn’t understand why. The story of Wind-Up Bird, which follows the journey Toru Okada as he loses first his job, then his cat, then his wife, would have strange resonance’s with my own life over the next few years. Murakami has a uniquely accurate bead on the lives of young men, and the growing-up process we go through to reach true adulthood. 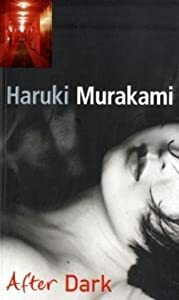 All of Murakami’s novels are bildungsroman, or ‘formation novels’, in which a variety of young male protagonists, generally in their late teens / twenties / early thirties experience emotional trauma which then drives them towards true adulthood. In Norwegian Wood it is the loss of a first love that drives the story of Toru Watanabe, as he is torn between a profoundly damaging emotional entanglement with his first lover, and the hope of a future life offered by another young woman. Murakami’s protagonists, talking in the first person, are terrifyingly ignorant of their own vulnerability. There is a chilling edge to Murakami’s narrative, as he shows his chracters placing their trust in friends and lovers, but leaves open the possibility that they are being manipulated and betrayed even as they are being helped. It’s that utter moral uncertainty that raises Murakami’s novels to greatness, along with his breathtaking exploration of the edges of the metaphysical. As his young characters are broken by loss and grief, Murakami shows how certainty and reality collapse in states of great emotion. In the most subtle and oblique ways Murakami is a fantasist, twisting strange eruptions of the weird and unreal in to his work to explore the inner lives of his characters. It’s as though his writing sits eternally on the border between the real and mundane and the fantastic and numinous, with every part of his story slipping freely between the two. My latest Murakami binge has been set off by the release of the film of Norwegian Wood. Which I can now watch, having decided there was no way I wanted to spoil the book by watching the film first. Here is the trailer. If it catches your attention, but you have not read Murakami yet, I suggest you do so immediately. Yes I love Murakami… it’s great to find an utterly unique writer, and one whose uniqueness seems to properly survive translation. I like the way he’s surreal in a whimsical way, rather than in a dark Kafka way, which seems to be the default nowadays. The other Murakami (Ryu) is good too. I came to Yoshimoto a year or so later, and she’s the one writer I’ve found who surpasses him. N.P. is my favourite book ever – it is so simple, so light, and yet reaches deeper into the human psyche than any writer has managed.